When it comes to plumbing services in Chicagoland, Demmis Plumbing is the premier provider. In business for more than two decades, we have helped many satisfied customers with their plumbing needs. Our team of expert plumbers provides all types of plumbing services, including installations, repairs and maintenance work. Regardless of what you need, if it involves plumbing, we can help you. Call Demmis Plumbing today to schedule an appointment! The installation of plumbing components is never as simple as it seems. A great deal of knowledge and care is required to install the plumbing parts you need. This is why, when installing plumbing needs, it is wise to use a professional plumber. The plumbers at Demmis Plumbing are experienced in the installation of pipes, toilets, sewage lines, sump pumps, garbage disposals and a variety of other plumbing components. Should you require professional plumbing installation in Chicagoland, we here at Demmis are the people to call. Whether it be your toilet, your garbage disposal, your water heater, or otherwise, your plumbing devices will, on occasion, encounter operational issues. When these issues arise, it’s best to handle them in a timely manner. Demmis Plumbing is experienced in the repair of all types of plumbing needs, having fixed them for homeowners all throughout the Chicagoland area. In addition to our repair services, we also offer maintenance services for drains, sewer lines, sump pumps, ejector pumps, and more. If it is plumbing repair and maintenance that you need, the plumbers with Demmis have you covered. It’s impossible to know when a water heater will stop working or when a toilet will overflow. It could happen at one o’clock in the afternoon, or it could happen at one o’clock in the morning. Plumbing troubles are entirely unpredictable, and often happen at the worst time. This is why we offer 24/7 emergency plumbing services. We want to always be there for our customers. 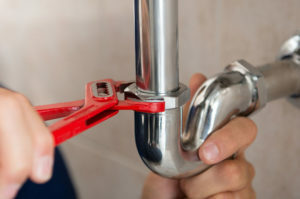 Regardless of what your plumbing issue is, our team is prepared to fix it at any hour of the day. Established in 1999, Demmis Plumbing is a family owned and operated business. We’re really no different from most of the families we have helped throughout the Chicagoland area…..we work hard and try to contribute to our communities. The only substantial difference between us and most families we have served is that we possess extensive plumbing knowledge and skill. If your home is in need of high-quality plumbing services in Chicagoland, Demmis Plumbing is the company to call. Customer satisfaction is at the core of all we do. We want all our customers to be satisfied with our work, we have high standards; we understand that the responsibility is on us to make our customers happy with the work we do in their homes. Our team strives to offer high-quality of services, and our work stops when the task is completed to perfection and our customers satisfaction. Whether you are in need of a plumbing installation, repair, or maintenance, we will perform the task until you are 100% satisfied with our work. If you need plumbing installation, repair, or maintenance services in DuPage, Cook, or Will County, Illinois, we here at Demmis Plumbing are the people to call. Since our establishment in 1999, we have helped thousands of Chicagoland residents with their plumbing. Whether you need a faucet replaced, a toilet repaired, or a sewer line cleaned, our team of experienced plumbers can assist you. Schedule an appointment or utilize our emergency services by contacting Demmis at (708) 420-0806! Demmis Plumbing has been in service since 1999 and it is a family owned and operated business for that reason we like to treat our customers as family too.